Bill's new friend Reijer Dorresteijn taught trumpet lessons and "tag-teamed" for the trumpet master class on April 12th. Reijer is a super-nice guy and a fantastic player and teacher. 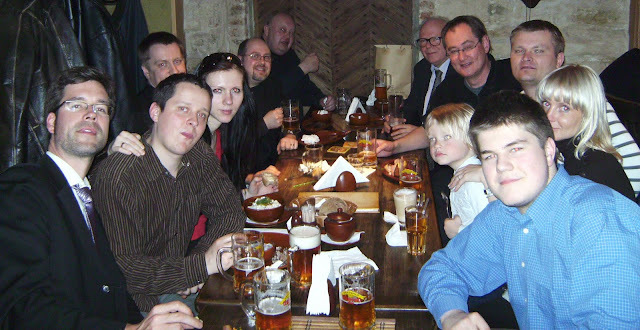 From left to right - Olivier Darbellay, Reijer Dorresteijn, pianist Herta Hansena, pianist Lauma Zutere, Janis Retenais, pianist Ieva Dzerve, pianist Ilze Dzerve, and William Richardson. Here is a video of Bill and Ilze performing Legende by Georges Enescu (click here) at this recital. 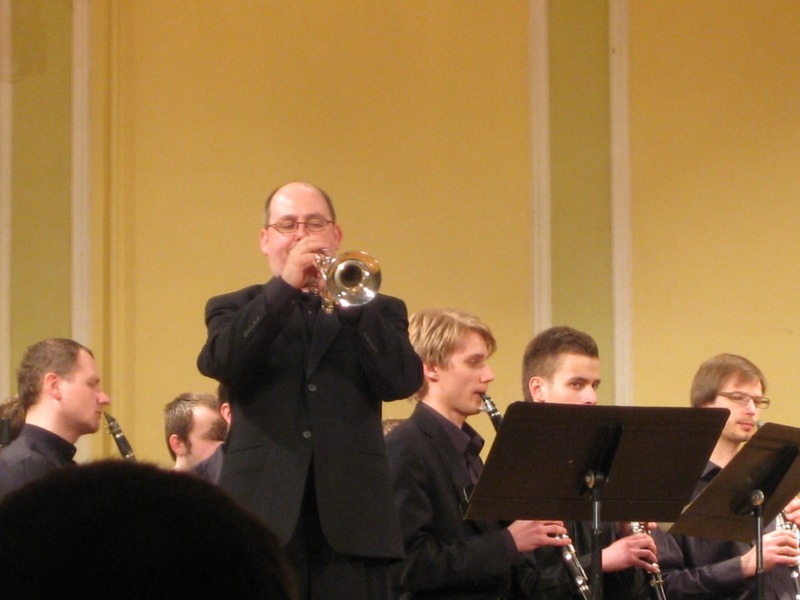 Thursday, April 15, featured a concert of brass soloists with the Jazeps Medins Riga Music School Wind Orchestra. Here's a video of three trumpeters who traveled from the Netherlands (Jordi Lensink, Ruben van Schijndel, and Eline Beumer) performing Leroy Anderson's Buglers Holiday, Andis Karelis conducting (click here). Olivier Darbellay also played on this concert (click here). Here is a video clip of Andante et Allegro by J.Guy Ropartz (arranged by David Marlatt) with Janis Retenais conducting (click here). Of course, the party afterward is often an important part of these types of events. Big fun! 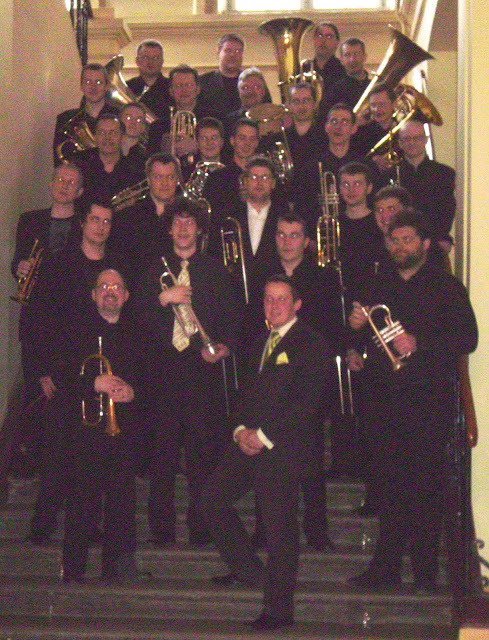 Congratulations to event coordinator Janis Retenais, the JVLMA, and the Latvian Brass Association (website here) for an outstanding week of great brass playing and teaching. We know that this annual event will continue to amaze and inspire brass players in this corner of the world. Prieka!